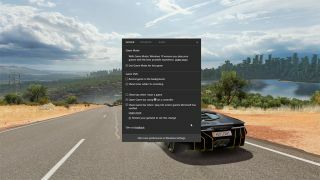 Fast ring subscribers can start testing the new Game Mode in Windows 10, but the build has some big bugs onboard. "We recognize that this is painful for those wanting to try out the new gaming features announced this week. We deliberated a lot on whether to release this build to Insiders with these issues, however we decided to go ahead and release it as we need feedback from Insiders on other areas of the OS," Microsoft stated in a blog post announcing the new build. "The team is working hard to get these platform bugs fixed and we plan to push the new gaming features again when we release a build that includes these fixes."